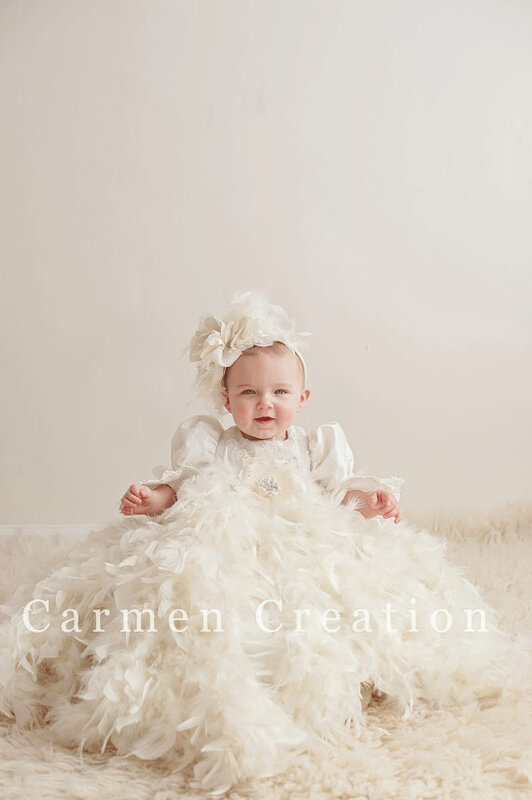 Our Victorian Feather Christening Headpiece comes in most sizes. Our Victorian Feather Christening Headpiece comes in most sizes. Colors, trims and fabrics will very when the exact ones can not be found, similar fabrics, trims and laces will be used.